WHYPAY? users have access to great scheduling tools which make arranging conference calls and sending conference call invitations a breeze. When you click 'save' at the bottom of the page, an invitation will be sent out to participants. If you're editing a conference room that's already been scheduled, you'll be asked if you wish to re-send the invitation with the updated information. 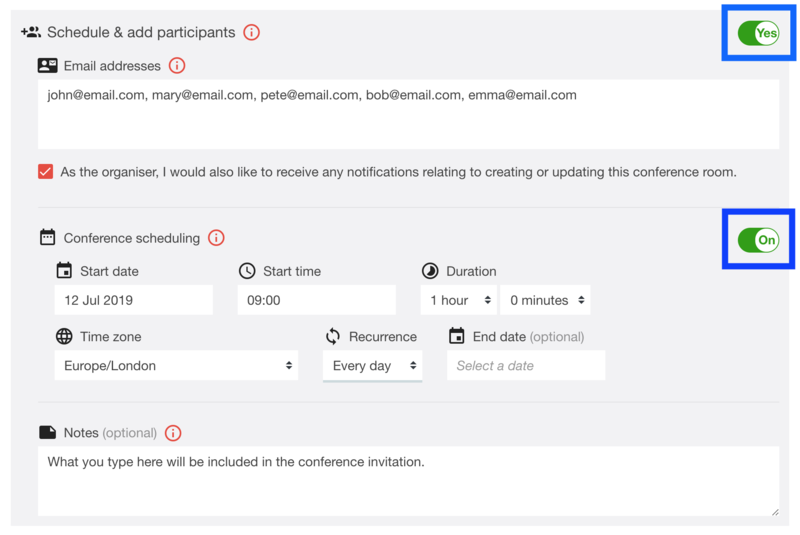 Watch a walk-through video for scheduling and editing your conference calls below.